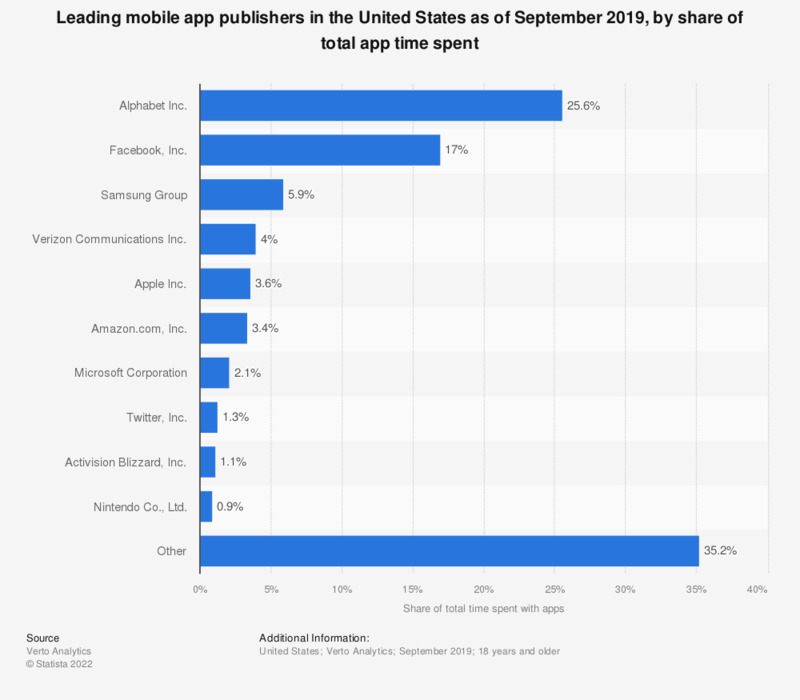 This statistic gives information on the share of time spent on leading mobile app publishers in the United States. In October 2018, Alphabet accounted for 26 percent of total time spent on apps. Facebook ranked second with a 18.1 percent app time share. If a lender offered you a mobile application to help you navigate the loan application process, what features would you value most?